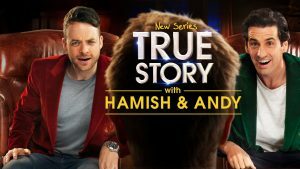 Episode 1 of True Story with Hamish and Andy aired last night on Channel 9. Season 1 was a hit last year for Channel 9 and this year it looks like it will entertain the nation again. True Story is all about ordinary people with extraordinary stories and brings to life the best tales you’ve never heard. 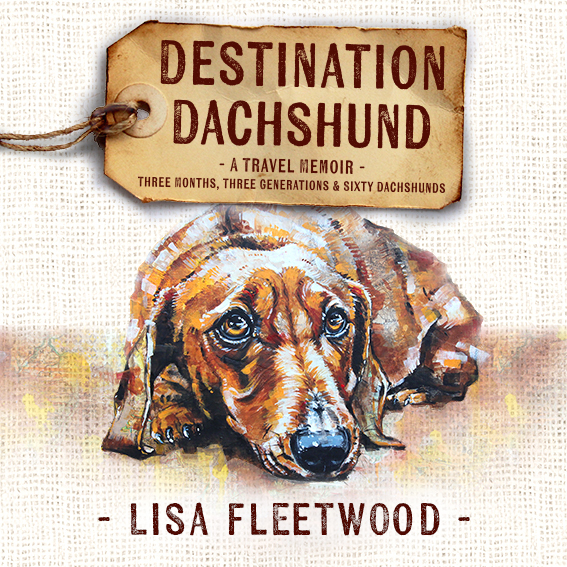 As each storyteller recounts their tale to Hamish and Andy, which is funny in itself to watch, it is cinematically recreated for viewers with hilarious results. Added comedic elements delivered by a huge cast of fabulous Australian actors, including John Waters, Rob Sitch, Michala Banas, Dave Hughes, and Anne Edmonds, really adds a sense of grandeur to the original story. Hamish and Andy appear on screen in velvet smoking jackets. Nice look boys. In episode 1 we are introduced to Carol, who in 1986 went to great lengths to get out of her english assignment. Her teacher, played by Rob Sitch, tells the class of teenagers (all decked out in the height of 1980’s fashion) that they are to write out 40 poems. I’m pretty sure that’s torture according to Aussie teenagers. I know – I have two of them. Poems = that face that teenagers pull when you ask them to pick up a yard full of dog poo. On top of that Carol is vision impaired but her mum has never allowed her to behave as if that is something to hold her back. On the night before the poems are due she comes up with a cunning plan. A pain in the tummy which escalates to PAIN FACTOR 10! 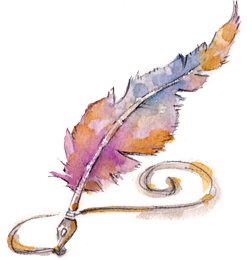 While trying to channel a character from famous Aussie TV show, A Country Practice, Carol announces so many symptoms to the doctor that before she could quote Yeats she was being prepped for an appendectomy. Yep, unnecessary surgery to avoid writing down 40 poems. We’ve all tried the dog ate my homework or the mysterious tummy ache to get out of school but Carol is committed until the end! Hilarious start to Season 2! True Story airs Tuesday nights on Channel 9.